With last year's Pantone colors being Rose Quartz and Serenity, pastel colors have slowly been making a comeback, with interior designers incorporating subtle accents in the spaces they design with a light hand. The soft colors have evolved from just being limited to nurseries to showing up everywhere from kitchen appliances to statement walls. Many homeowners shy away from pastel colors, as they feel their home may look too feminine or stuck in the '50s. If you're not ready to commit to an entire room of pastel, try a wall and see how you feel about it. 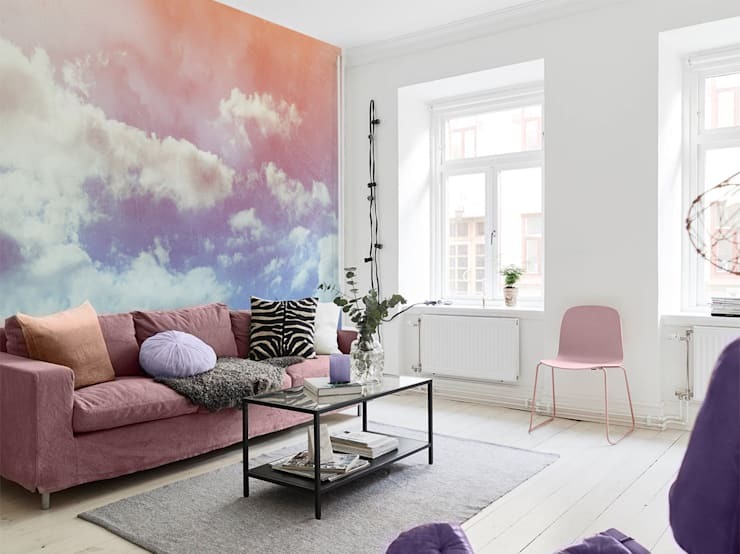 Better yet, instead of painting it one color, cover the statement wall with a beautiful, dreamy mural, like this one from Pixers. Another way to incorporate pastel is to upholster your favorite sofa and find other pieces of furniture in similar shades to tie in the look of the room. 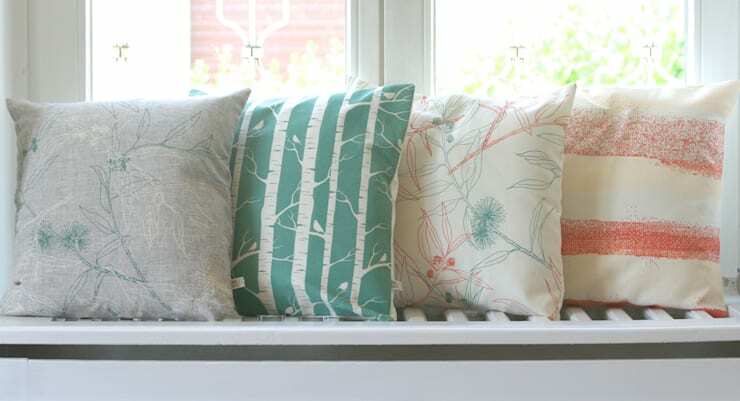 Incorporate pastels in the form of fabric-like throw pillows and pillow covers to add color to a room. Soften a masculine-looking color like gray with subtle pastel colors in greens, pinks, blues, and purples to add a feminine touch to an androgynous-looking space. 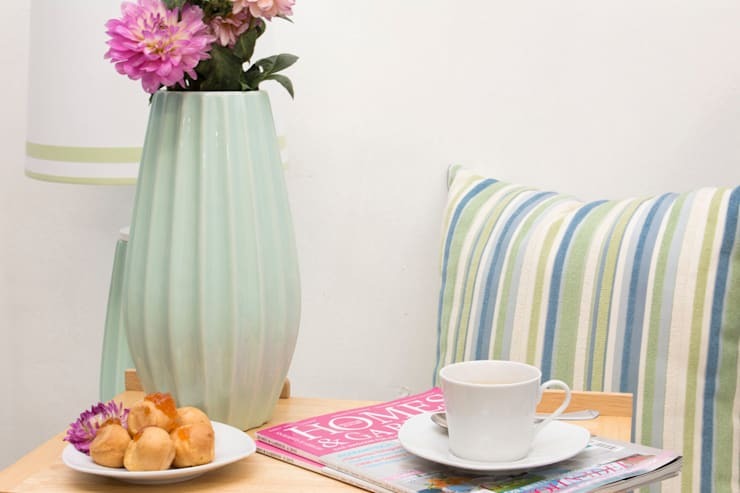 Prettify a breakfast nook or a kitchen table with pastel ceramics that match your pastel-colored appliances! With brands like Kitchen Aid releasing modern takes on their popular mixers in the '70s and '80s, a little color-coordination with the serving ware or even the more decorative accents, like this pastel green vase and lamp from Orchid's Loft, can set the tone for the entire space. 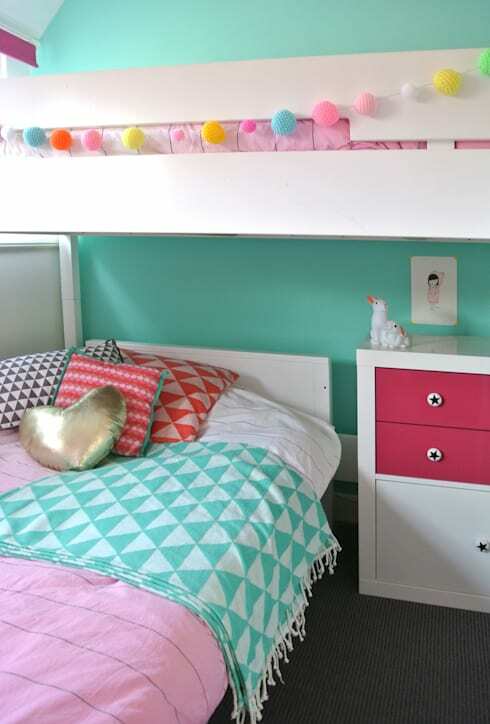 The best place to experiment with pastels is definitely the children's room but baby blues and pinks are so 1999. Pick other pastels, like this green wall and geometric throw from Kinder Kamer Vintage, and pair it with a brighter, bolder color like fuchsia drawers on a dresser table or a gold heart throw pillow. One would never expect to see pastel in the bathroom, so why not incorporate it there? Roselind WIlson Design gave this small room some big personality with a pastel sink and storage space, brightening up the grey concrete walls.